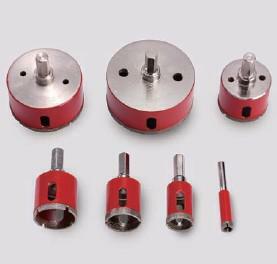 *Diamond core drill bit is used for any natural stones processing. 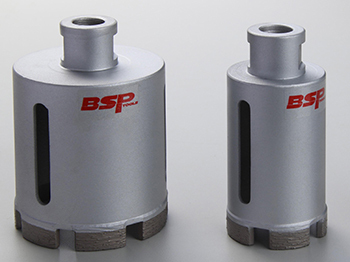 *The side protection offers clean cut & steel core protection *With technology of precise diamond placement throughout the segment, fabricators receive the fast drilling speeds possible without compromising tool life. 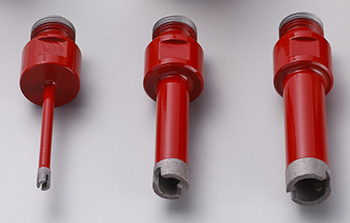 *Our ultra thin wall core bits are designed for polishing machine with center water feeder. 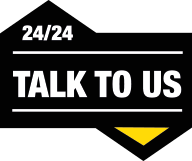 *This core bit provide longer drilling life, smoother surface finish, faster and free drilling action, more consistent performance. 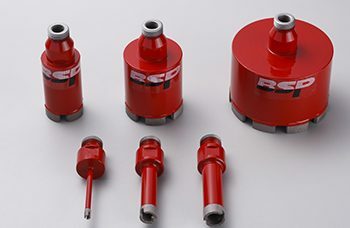 The core bit designed for high speed high performance and heavy duty use on ceramic, porcelain,granite,marble,glass,quartz,limestone,fiberglass,terracotta,terrazzo,quarry,vitrified tiles. Specification Spraying system with pressurisation by piston plunger. Locks in spraying position for hands-free work. Delivered with 1 m of hose. Universal drilling guide in stainless steel, fitted with a powerful suction cup.Can be used on all diameters, up to 83 mm. 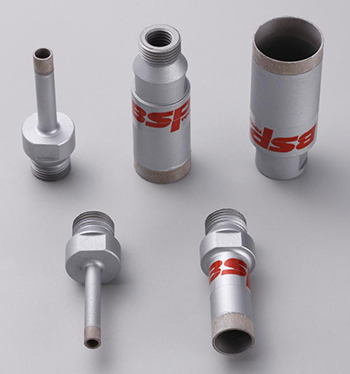 Drilling guide for 4,5,6,7,8,10,12mm diamond bit, equipped with a suction cup and a connection for a sprinkler hose. 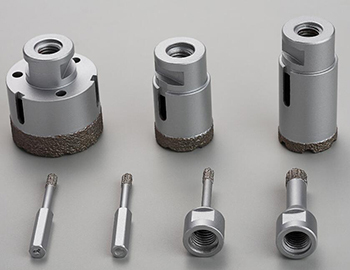 Drilling guide for 4,6,8,10,12mm diamond bit, equipped with a suction cup and a connection for a sprinkler hose. 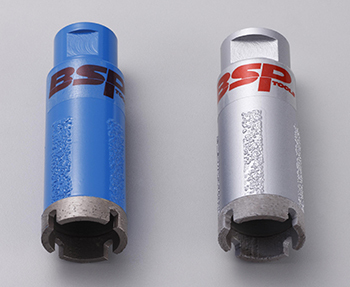 BSP diamond core drill manufacturer produce different core drill for stone market, Mainly used for drilling holes on stone and tile. Can be dry drilling or with water. Both OEM and ODM are available.